WordPress nav menus are no doubt great but most of the time the additional markup associated with them is unwanted or unnecessary. At Daddy Design we prefer to remove the default UL tag generated by WordPress and add our own back for greater control. In this tutorial we will teach you how to remove the default UL tag from the WordPress Nav Menu. The first step is to remove the UL tag from the WordPress Nav Menu (wp_nav_menu) by adding a PHP filter to your WordPress Functions file. Simply open your functions.php file then copy and paste the code below. 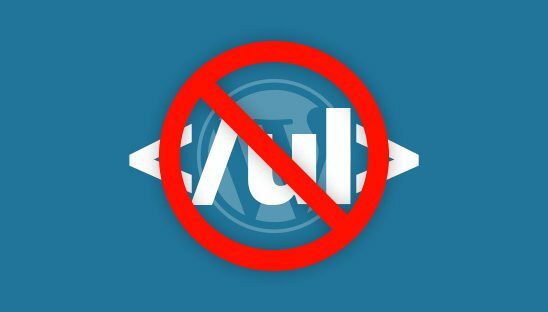 The UL tag will now be completely removed from your WordPress Nav Menu. The final step is to add your own UL tag with custom ID and/or classes. Simply wrap the wp_nav_menu with a UL tag and apply your desired ID and/or classes wherever you are using it inside your WordPress theme template.